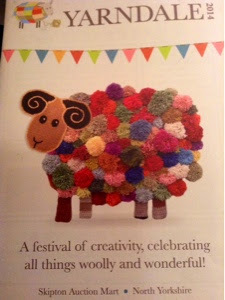 My Mother and I went to Yarndale at Skipton today, this is Yarndales 2nd year which was bigger and better. We arrived early so that we were able to park, then joined a rather large queue to get in. 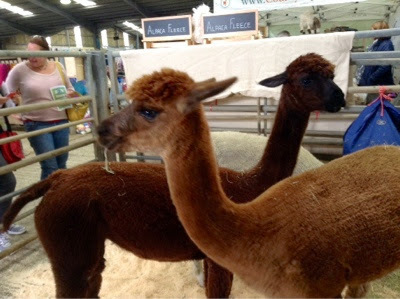 The first things we saw were some Alpacas. We then started to make our way through the stands. 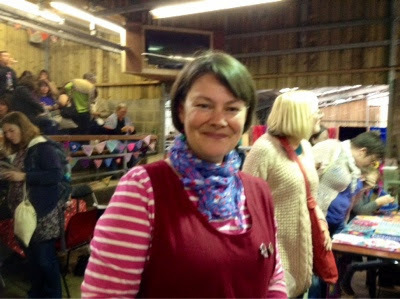 I spoke to Lucy from Attic 24 who has a hand in organising Yarndale. 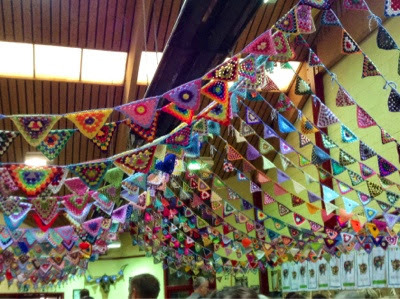 Lucy received all the mandela's for this display and last year she collected all the crochet triangles for the buntin. 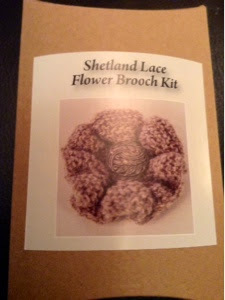 This is some of the stash I just had to have. 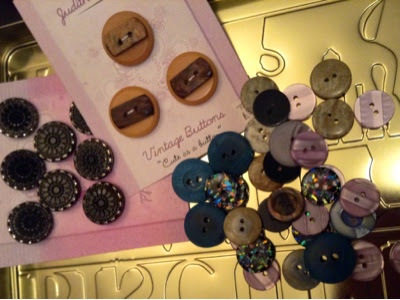 I just love buttons the loose ones we picked up for 5p each what a bargin. 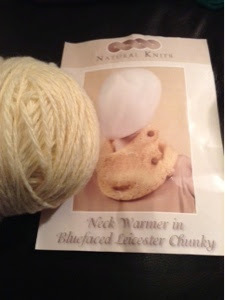 The wool came as a hank which my Mum held while I wound it into a ball. 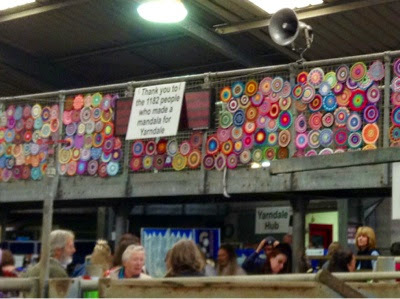 Yes there was even a stand with quilting fabric it was Antics from Settle which is near Skipton. We had a great day out looking forward to next year all ready. 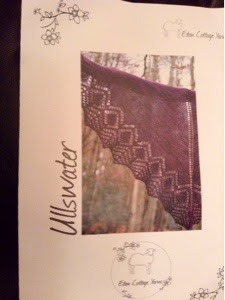 Thank you so much for your review, yours is the first Yarndale post I've seen and I've been desperately waiting for news. I cant manage to get there but just love hearing everyone's tales and seeing their pics. 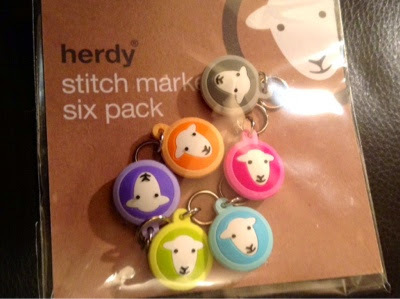 I was so keen to see what happened to all the mandalas. 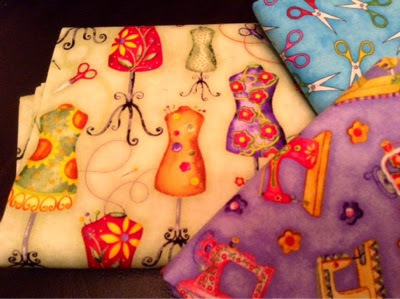 Loving all your purchases especially the fabric and delighted you had a good time.